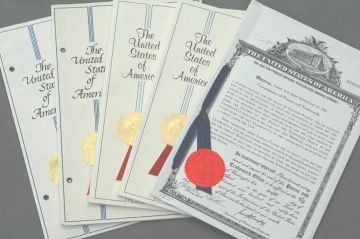 Can patents be important for your business? Understanding intellectual property is not rocket science. But the legal aspects are sometimes counter intuitive or sometimes downright obtuse. Welcome to The Business of Patents. The answer is quite simple. It is for the many, many independent inventors and managers of small businesses who create inventive ideas and are concerned about whether they should protect them - but are not that familiar with all of the issues (and costs involved) and do not have the time to research these issues because they are busy trying to create or run a small business. I want this site to be useful - primarily for independent inventors and small businesses. So I have attempted to make the navigation as transparent as possible. The overall structure can be seen in the Navigation Bar on the left. Within each of those categories you will find an introductory page, with a series of useful articles included as links. For an overview of the entire site see the Site Map Navigation Bar, which will show you all of the articles to date. By the way - this site is always a work in progress, so that Site Map will grow with time. My name is Mike Ervin. I spent a 21 year career in research and product development dealing with those issues. And more recently 12 years of focused experience in helping small business people with dealing with them. Most of that experience has been in the US Patent Office, but quite a bit has been in the EPO. There are aspects of intellectual property you can elect to do in-house (even do yourself). There are also aspects that you should get professional help. I think I can help you sort out which is which. So whether your interest is in searching (prior art searches) or how to protect the intellectual property of your business, this site is a portal to useful information for you. Please feel free to explore it and use the information freely. And if there is more information you need that I am not supplying please let me know. US Patent Search. You may need to do an invention patent search, a patent number search, or even do an international patent search. All of these are doable with either money or a lot of your time. What are the Steps for Getting a Patent? If you want to patent an idea - what is the process to get a patent? What a business owner needs to know about intellectual property law. The US Patent Office and Other Patent Offices. How many are there, how do they work, what do you need to know about them? The PCT Desk. A compilation of thoughts and advice on using the Patent Cooperation Treaty for filing foreign (and U.S.) patents. Invention Ideas. How do you manage inventions and ideas in your business? What is the latest patent news around the world - and what does it mean to you? If you have any questions on patents - please feel free to contact me. Small Business Innovation. Can a content rich website drive your business? Small Business and Patent Resources. Helpful links for starting and small businesses. The limits of liability of this site. A Patent Glossary - when you need to better understand patent terms.